Can you guess which one of the white bunnies is me? 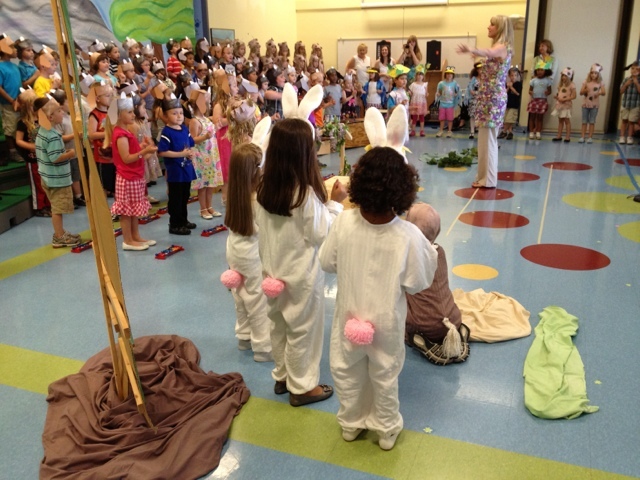 I starred in the Billy Goats Gruff today as a little white bunny who says "I'm still hungry. What shall we do?"